Sennelier Green for Oil thinner can be used in the same way as a traditional thinner; ixing this thinner in with your oil paint for a fluid consistency. 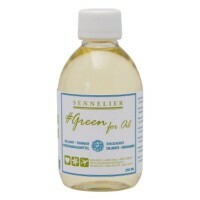 Sennelier Green for Oil Gloss Varnish is intended to be used as a final varnish to protect your finished painting, and dries quickly to a clear gloss finish. 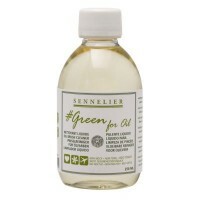 Sennelier Green for Oil Matt Varnish is intended to be used as a final varnish to protect your finished painting, and dries quickly to a clear Matt finish. 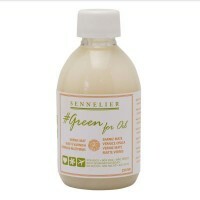 Sennelier Green for Oil Brush Cleaner is a non-toxic fluid that can be used to clean and maintain your painting materials. 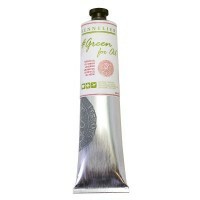 Sennelier Green for Oil Gel Medium created for artists who wish to use a heavy paint to build up texture.